Amber Le Bon , the eldest of the three daughters of Duran Duran lead singer, chose to wear Fabergé to the Serpentine Gallery Summer Party, at Kensington Gardens, London. 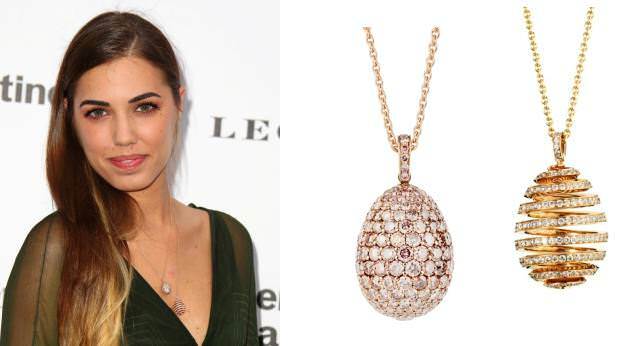 She wore a rose gold and pink diamond Oeuf Zaritsa Pendant and rose gold and white diamond Oeuf Spirale Pendant from Les Favorites de Fabergé Fine Jewellery collection of egg pendants. 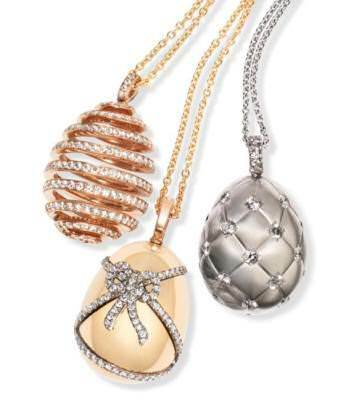 Les Favorites de Fabergé is a collection of fine lustrous egg charms crafted from an array of precious stones, metals and sorbet-coloured enamel, that reference Fabergé’s iconic eggs. They are inspired by the legacy and the craftsmanship of Peter Carl Fabergé, reinterpreted for here and now and can be worn dressed up or down every day or on special occasions.